Aeroméxico, Mexico’s major international airline, made aviation history in July. Aeroméxico flight AM1, from Mexico City to Madrid, was the first ever commercial transatlantic passenger flight using bio-fuel. The Boeing 777 flew on a mixture of biofuel and regular jet fuel. Earlier this year, another Mexican airline, Interjet, began using renewable jatropha-based biofuel for flights between Mexico City and Tuxtla Gutierrez in the southern state of Chiapas. Jatropha is a genus of plants, mainly shrubs, that grow wild in several parts of Mexico, including Chiapas. Plantations of jatropha require four or five years of cultivation before the plant is sufficiently mature for commercial harvesting. Jatropha-based biofuel is marketed as “green jet fuel” and is currently significantly more expensive than regular jet fuel. 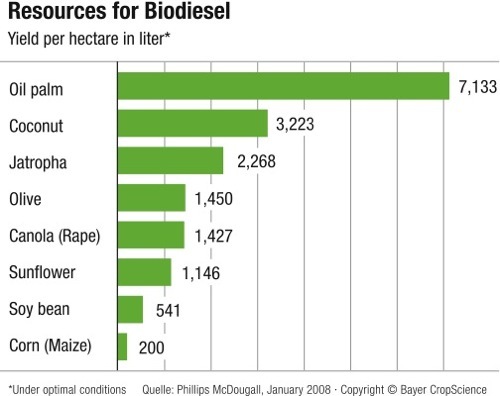 However, the price of biofuel is expected to fall rapidly as more of it is produced. The “life-time” emissions from using jatropha (including its growing period, processing and combustion) are estimated to be at least 60% less than using conventional jet fuel. Mexico’s aviation sector will need 40 million liters of biofuel a year by 2015 in order to meet the national target of 1% of all airline fuel coming from renewable sources. The aviation industry’s long-term target is to halve its 2005 carbon footprint by 2050. Despite Mexico’s recent adoption of jatropha-based biofuel, there is considerable controversy about the plant’s real value as a sustainable source of renewable energy. See, for example, the critique “Hailed as a miracle biofuel, jatropha falls short of hype” on Yale Environment 360, a publication of the Yale School of Forestry & Environmental Studies.